Many burglaries that take place have a point of entry into the home right through the front door. And in fact, every 14.6 seconds a home in America is violated by burglary. The truth is, most people don't fortify their front door, nor do they know how to defend it properly once someone forces their way in. Back in late November, 2018, a Mississippi man was awakened from his slumber to a loud noise. After he went to investigate, he heard men talking outside, one of them saying that nobody was home. What happened next will likely be burned into the homeowner's memory for the rest of his life. Two men kicked the door down and entered his home. Back in September, 2018, a man waiting for a pizza delivery opened his front door thinking his food had finally arrived. It wasn't food, and the homeowner paid for it as he exchanged gun fire with multiple men, getting hit himself numerous times. Sadly, this homeowner didn't have his firearm on him, or close by, and had to go get it before he could properly defend himself. You can read this full story here. If that's not a reminder to always be aware of your surroundings, I'm not sure what is. Both of those people could have done so much more to protect themselves if they had just known what to do. The sad truth of the matter is that most of us are not prepared for this type of scenario. Truthfully, I carry a gun even in my own home. Why? Because statistics show that 100% of home break-ins happen inside the home. Ya know, the place where I live and spend most of my time. My main goal in life is to protect my family. But, it can be pretty hard to protect anyone without the proper amount of training, and as far as I've seen there isn't much out there that covers stuff like the Door Ambush. Jacob and Riley saw this massive hole in the training world and put together a small video that doesn't just go over how to fortify your castle (and front door), but also how to protect it by acting out real, live scenarios. 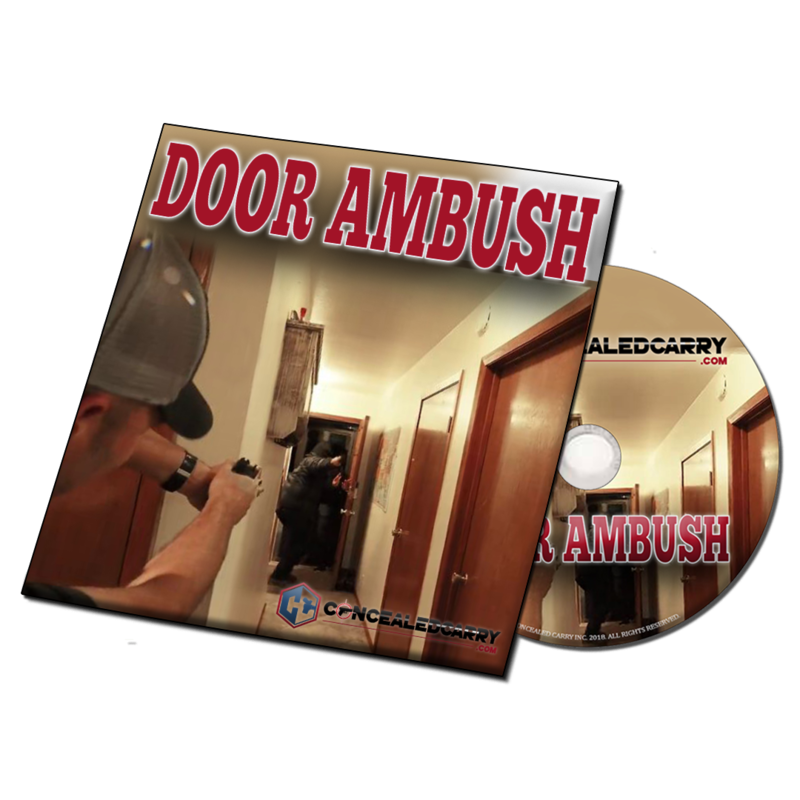 There is tons of information presented, and you can find the Door Ambush Video, at that link. Taking the protection of your home seriously is the first step. Getting proper training is the next. If you take your home defense seriously, then putting aside two cups of coffee to cover the cost is a no-brainer to learn what you will in this video. Take me to the Door Ambush Video. Steel front door, I use the door club at base of the door, mounted in floor. No way to kick in the door. Element of surprise is now in your favor.